Zachary Casler is an avid food photographer/blogger and is the Founder and CEO of Dindr, Houston’s first social dining app. What is Dindr? It’s an app that allows you to choose where, when and what you want to eat. You swipe through mouthwatering pictures of dishes from local restaurants to determine your dining experience. Once you’ve settled on the restaurant, you find friends from your community to invite to the meal. It’s pure genius! Since Zach has such a long history with the food and local restaurants of Houston, he certainly knows a thing or two about where to eat. 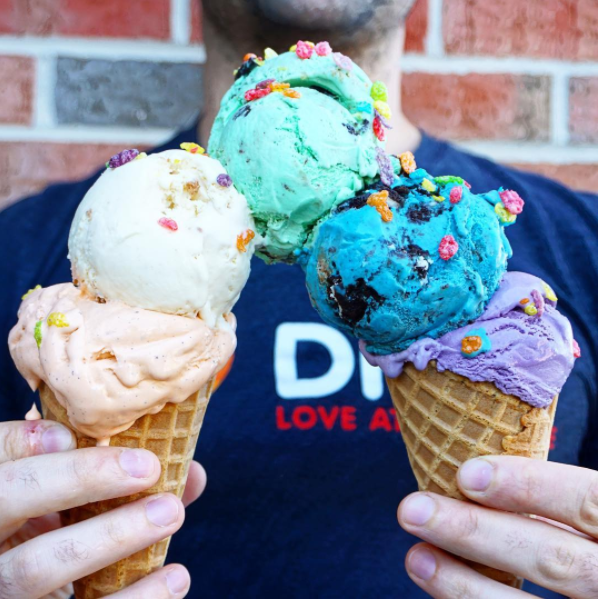 Find out where Zach’s favorite spots are to grab some tasty Thai, the secret to amazing Latkes, and how you can add him on Dindr to meet up for an 8pm ice cream date. Dindr is only live in Houston, so lucky Houstonians head to www.dindrapp.com to download the app and give it a try. Everyone else, demand Dindr be nationwide! Go to Dindrapp.com to download the app now! Wash, Peel and grate potatoes/Taro Root. Drain off all liquid thoroughly. Add grated onions, eggs, salt, and pepper. Mix well. Heat ½ of the Crisco oil in a frying pan to hot. Drop mixture into pan with a large spoon and fry to brown on both sides. 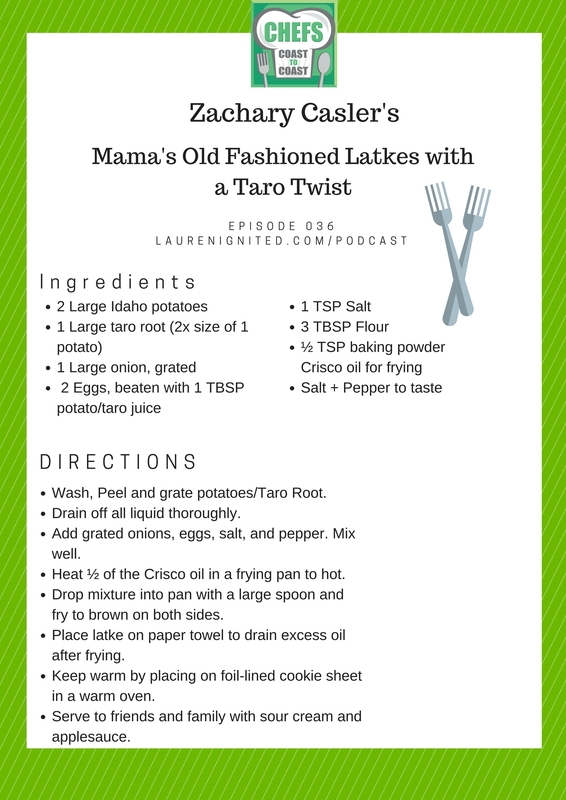 Place latke on paper towel to drain excess oil after frying. Keep warm by placing on foil-lined cookie sheet in a warm oven. Serve to friends and family with sour cream and applesauce. Download Dindr at www.dindrapp.com,. 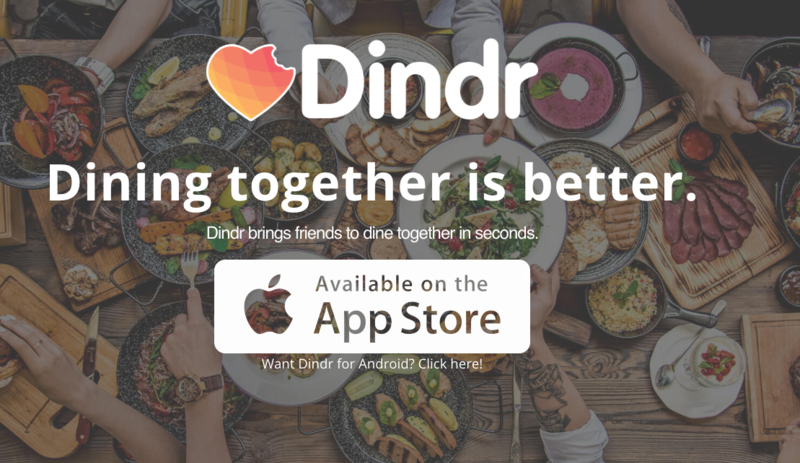 Connect with Dindr on Instagram and Twitter.